It's too easy to make 3 cups of cashew cream, use 2 tablespoons, and then forget about it for the rest of the week. With five great recipes from Sophie from Wholehearted Eats, you'll easily use up your whole batch—no drop wasted. 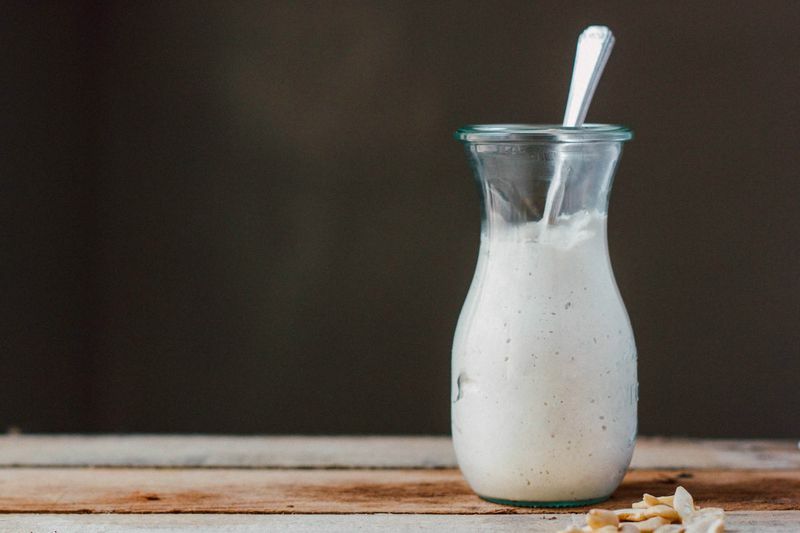 As more and more people turn from conventional milk to dairy-free substitutes, the number of delicious recipes using nut and seed milks grows. Grocery stores are abundant with alternative milks, from soy to oat, coconut to the most-beloved almond. But while most of us are aware of the simplicity of making nut milk at homes, fewer people know that it's just as easy to make your own cream. 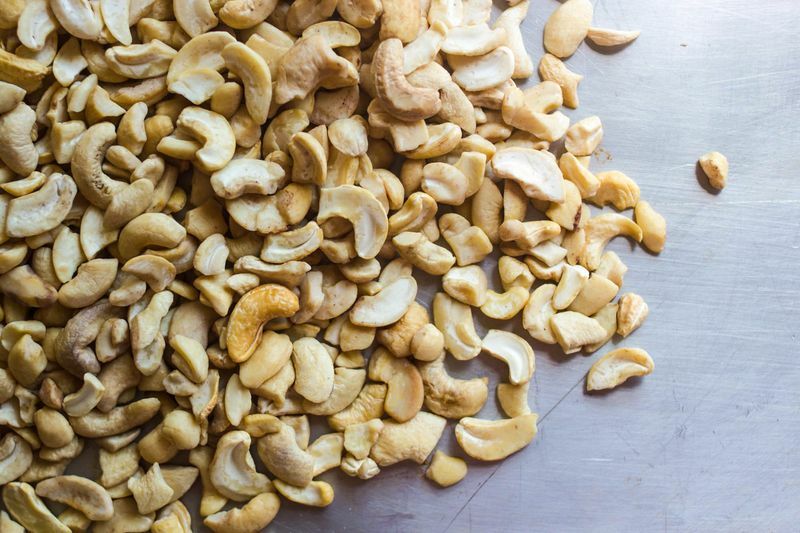 Soft nuts like cashews are the perfect thing to blend into a versatile and rich nut cream. Much like ricotta or crème fraîche, cashew cream is great served either sweet or savory. It should last about a week in the fridge (or a month in the freezer), so make a big batch early in the week to have on hand for all your sauce and spread needs. The day before you plan on making the cream, cover the cashews with fresh water and let sit overnight in the fridge. The next morning, drain the water and give the cashews a quick rinse. Combine them with the water in a high speed blender. Purée until smooth. 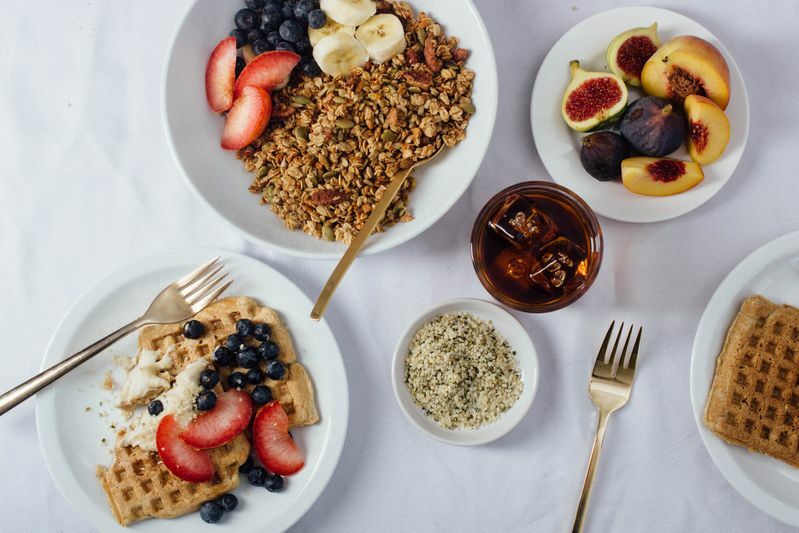 Start the week off right with a hearty breakfast of nutty rye waffles and warming ginger cashew cream. Feel free to use as much ginger juice as suits your taste, starting with about a tablespoon and adding more as you see fit. Fresh summer fruit like plums and peaches pair perfectly with this combination. A perfect light lunch or small supper, these zucchini fritters are summer at its best. 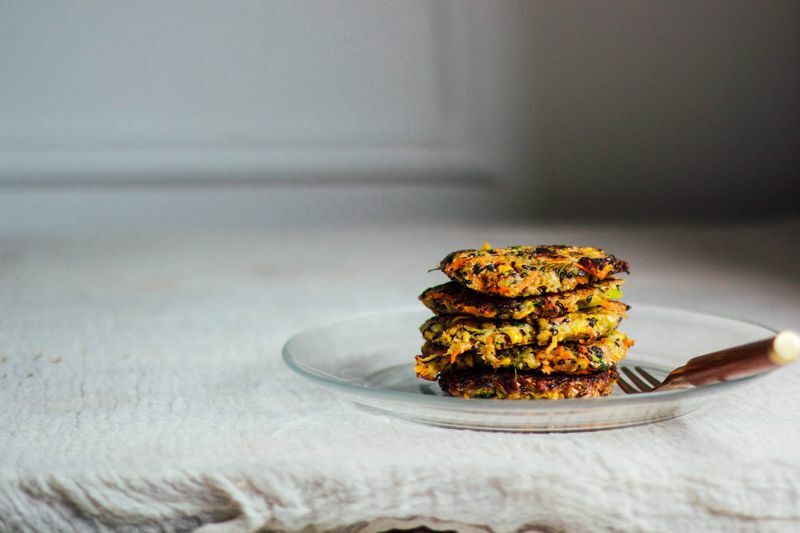 Full of vegetables like carrot, zucchini, and dill, they're a healthier alternative to potato pancakes. The addition of a garlicky cashew aioli and fresh avocado adds creaminess and flavor. 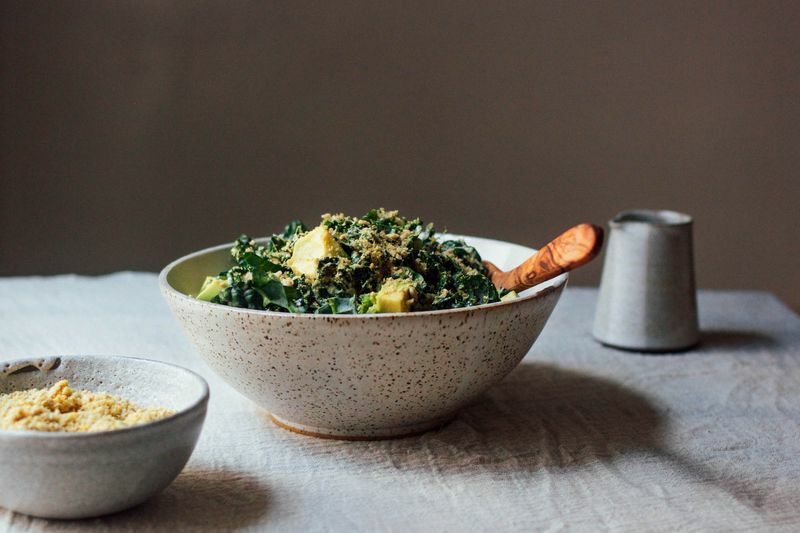 Cashew cream helps make a dairy-free dressing that's just as creamy as mayonnaise- or oil-based counterparts. Full of good fats from cashews, avocado, and sunflower seeds, this salad will help get you through those any midweek woes. When the end of the week approaches, it's time to finish up the cashew cream. Thin out 1 cup of the cream with 1/2 water or nut milk and freeze into ice cubes for Friday's milkshake. 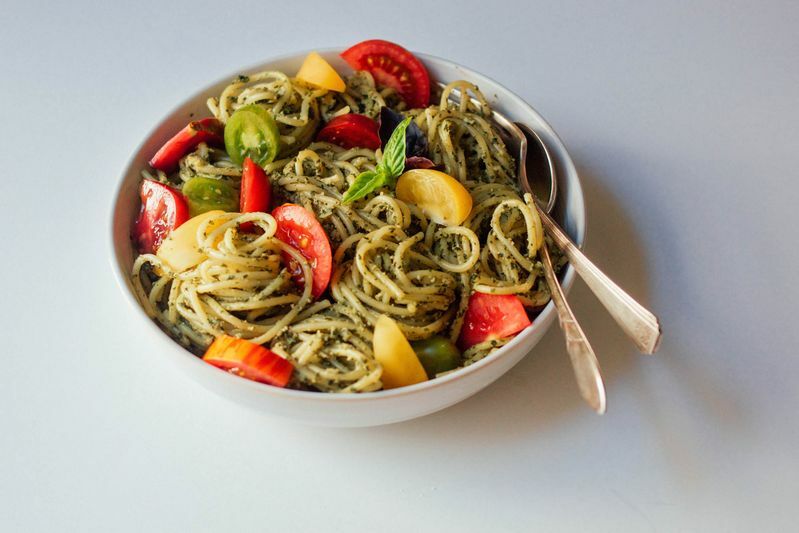 Then use the remaining 6 or so tablespoons to make creamy pesto pasta for a simple Thursday night dinner. What better way to celebrate the end of the week than with an icy treat? 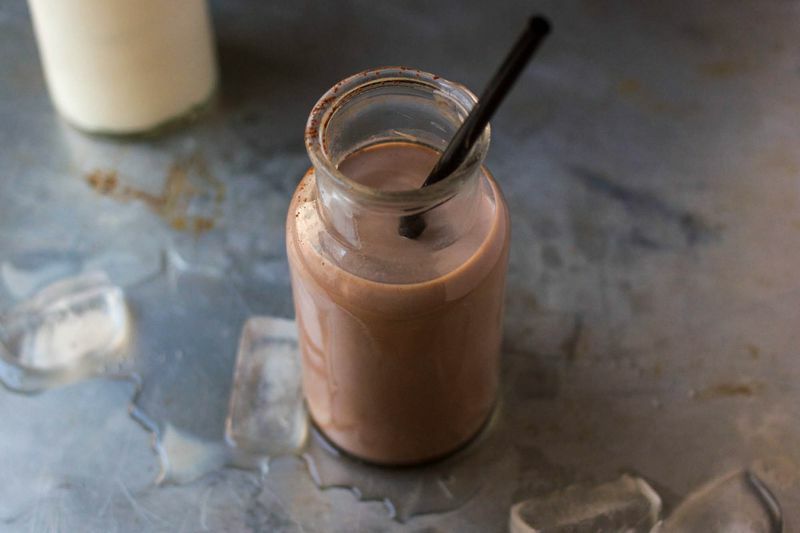 Just like a traditional milkshake, you can customize it however you like: Make it thin or thick, chocolate, vanilla, or add any other flavor you have kicking around. How many hours should the nuts need to soak? I know the directions say "overnight" but what would the range of hours be (min/max)? Thanks! Making the cashew cream - you drain the water, rinse the cashews and then combine them with the water. After draining, do you put the cashews back in the same water that you drained them from? What is the point of rinsing them? The soaking water is to be discarded, and fresh water to be used for the pureeing of the cream. After the cashews are soaked, they'll get a little slimy, so rinsing them helps wash that away.